KSB Singapore is a wholly owned subsidiary of KSB SE & Co. KGaA in Germany and has been established since 1988 as a sales and marketing company for all KSB products as well as providing on-site and in-house repair and workshop services of all KSB centrifugal pumps and valves. 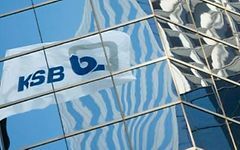 KSB Singapore has a team of experienced and qualified employees who are committed to the goals and targets of KSB Global policies to ensure that KSB Singapore provides for quality service and project and sales consultancy for all KSB products required. KSB Singapore aims to offer each customer tailored solutions and to be a trusted regional partner who can be reached easily and quickly. Regardless of the tasks, KSB Singapore focuses great importance to sustainability and environmental awareness. In addition, numerous certificates awarded to the KSB factories worldwide are proof or the stringent product quality standards.